← Abend Brot heisst ABENDESSEN! MARVELLOUS Parkroyal Hotel’s Plaza Brasserie! 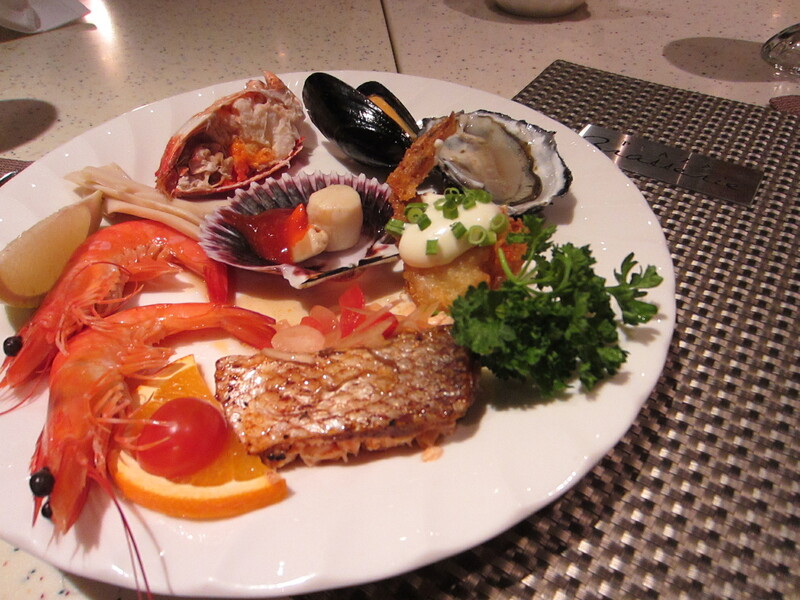 Their “Seafood Galore” buffet is really YUMMY! Take the whole Baked Salmon with a spicy Nyonya Sauce and crunchy shallots for a start. C’est magnifique! SAS (Sweet & Sour) Crispy Fried Pomfret is amazing especially the sauce, so tangy and mouth-watering with pineapple and nata de coco. 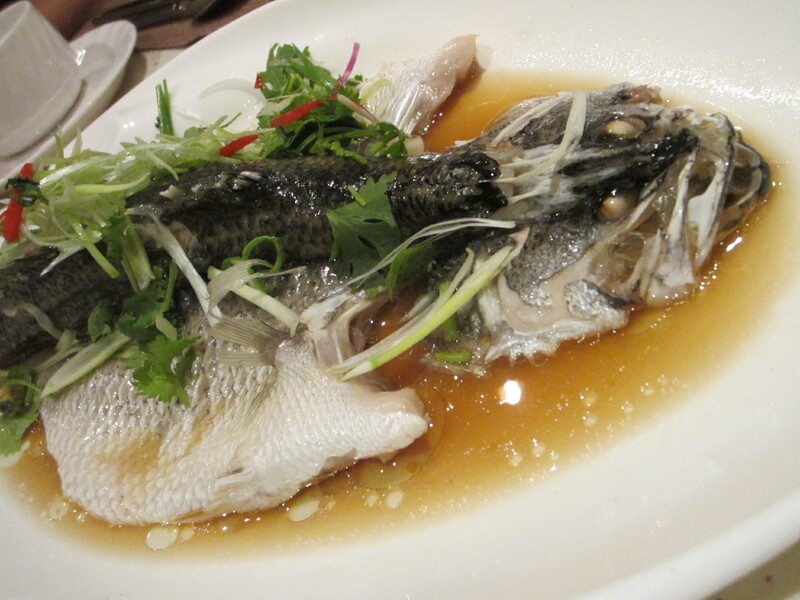 Super Steamed Sea Bass in Hong Kong Style is one of those classic dishes that are simple…yet very delicious. Just some sesame oil, soy and white pepper and Voila! 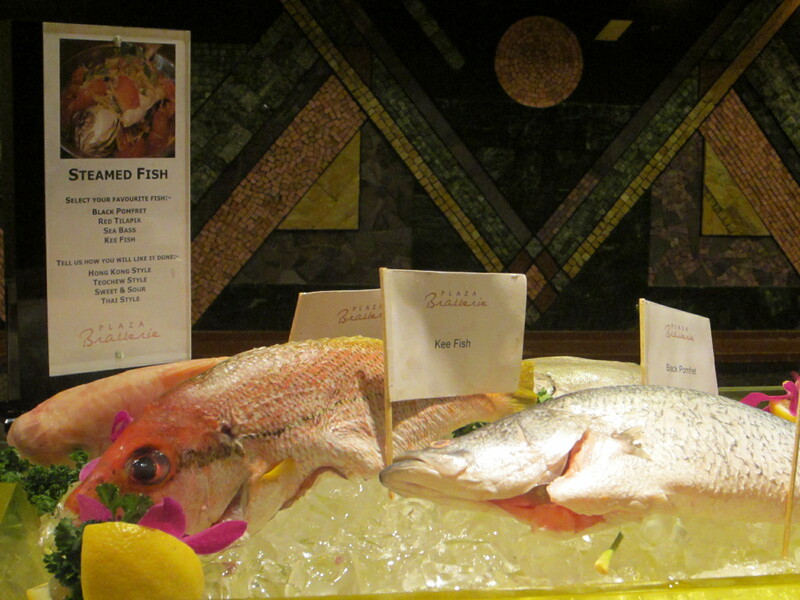 Simply Scrumptious Hong Kong Style Sea Bass or ‘Bar’ in French! Relish too Clay Pot Fish Head with Yam in a gooey sauce with baby corn and straw mushrooms. 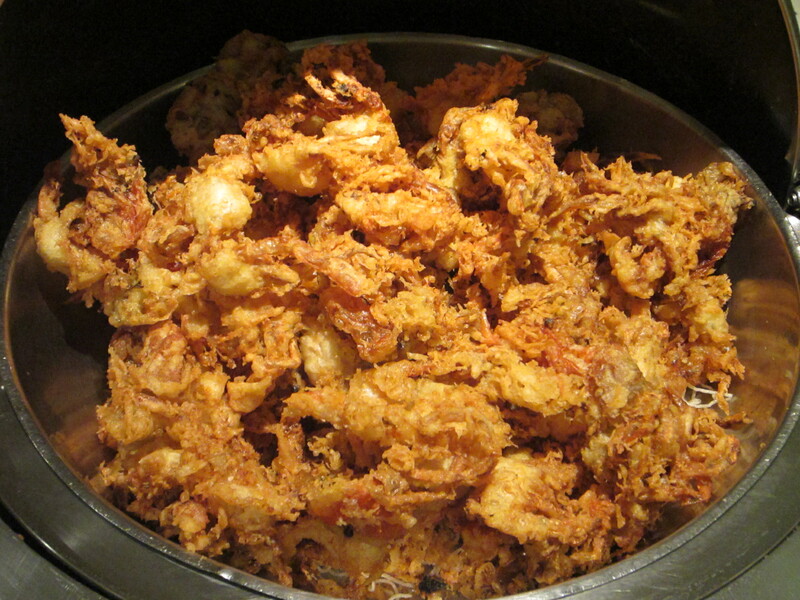 The Soft Shell Crab is SUPER-Crunchy! Apart from the seafood there is also a lovely selection of Sushi and Sashimi, plus a Prata section with unusual offerings like Durian, Banana, Chocolate & Cheese. 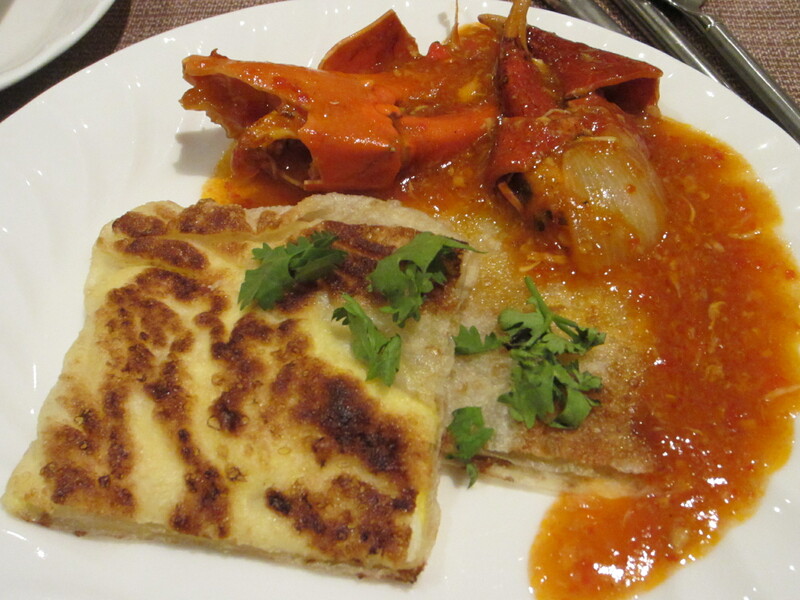 I tried Chilli Crab with its rich spicy sauce with chewy, fragrant golden fried prata. There is Fried Hokkien Mee with big prawns and egg as well. J’adore the roast duck and crispy skinned Roast Pork too! Eight Treasures Sweet is their version of Bubur Terigu. I like the fragrant orange peel bits in it. Go crazy over the Durian Pengat and put it on your ice cream! A dessert to rob a bank for! For Francopiles there is the assorted Fromage (cheese) platter too! ENJOY! There is no better obsession than FOOD!